This class is a great introduction to the true fundamentals of Yoga Asana including breathing techniques and detailed explanations of postural alignment. 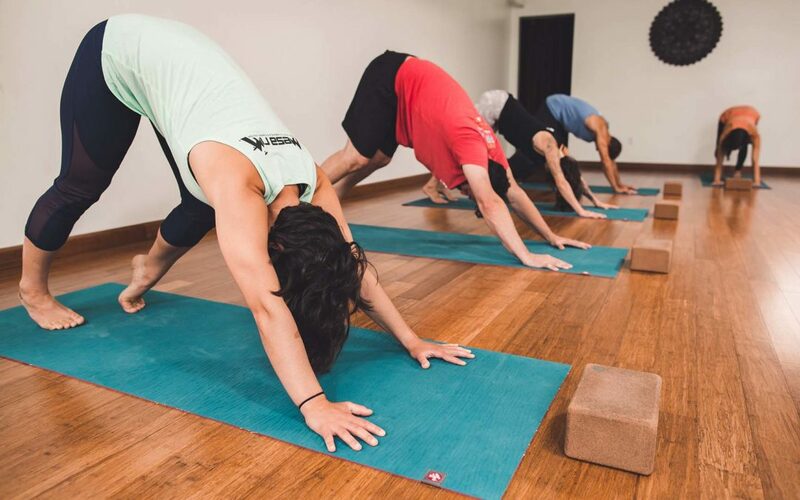 In Yoga Basics you will focus on fewer poses while learning healthy positioning of the spine, proper placement of the joints and breath-to-movement connection. This class will open the door for anyone willing to step into the world of yoga and reap the benefits of a healthy mind, body and spirit. For a more seasoned yogi, this class can be a good way to take a step back and revisit the fundamental points of alignment in some basic yoga poses. This will be a monthly offering held at Mesa Rim the 3rd Sunday of every month! This class is FREE and open to anyone in the community! Space is limited, first come first serve.